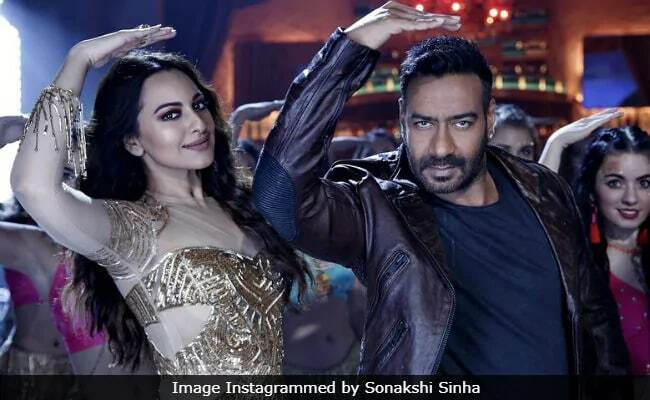 Actor-producer Ajay Devgn on Monday announced that his forthcoming film Total Dhamaal will not release in Pakistan. The decision comes after over 40 CRPF personnel were killed in the terror attack in Jammu and Kashmir's Pulwama last week. "In light of the current situation, the team of Total Dhamaal has decided to not release the film in Pakistan," Ajay Devgn tweeted. Actor Riteish Deshmukh, who co-stars with Ajay Devgn in Total Dhamaal, also wrote: "In light of the current situation the team of Total Dhamaal has decided to not release the film in Pakistan." On Thursday, over 40 CRPF (Central Reserve Police Force) soldiers were killed when a Jaish-e-Mohammed terrorist drove up a car carrying 60 kg of RDX explosives next to a security convoy on the Jammu-Srinagar highway and triggered the explosives in what is one of the state's worst attack in decades. The Federation of Western India Cine Employees (FWICE) in India on Sunday said filmmakers will not be allowed to release their films in Pakistan after the dastardly attack. Last week, Gully Boy released in Pakistan. Total Dhamaal is the third installment of the successful franchise Dhamaal, which originally starred Arshad Warsi, Javed Jaffrey and Riteish Deshmukh alongside Sanjay Dutt. It also stars Madhuri Dixit Nene, Anil Kapoor and Boman Irani. Co-produced by Fox Star Studios, Ajay Devgn Films, Ashok Thakeria, Kumar, Sri Adhikari Brothers, Anand Pandit, Sangeeta Ahir and Kumar Mangat Pathak, the film is slated to release on February 22.